The SUNSEA Beach Bar is located within the SUKHOTHAI restaurant. The bar is an open-air structure that allows you to enjoy the whole magnificence of the beach atmosphere and the freshness of the ocean: ear the waves melody, smell the light sea fragrance and feel the little breeze on your skin. Of course, you can still stay on the back of the bar and be away from the breeze and the waves noise. 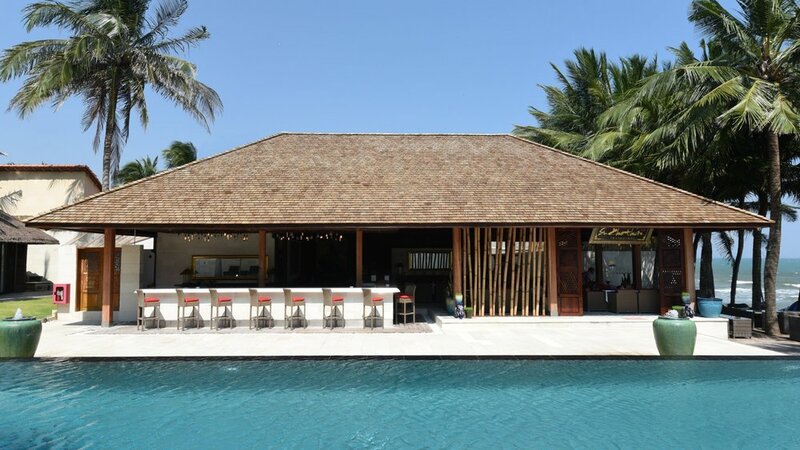 With its unique, yet romantic ocean-front architecture, accompanied by musical ambiance, the SUNSEA Beach Bar is best suitable for friendly and family holidays and happy hours. At SUNSEA Beach Bar, customers have the choice with many kinds of cocktails, beverages, beer and wine prepared by professional bartenders. Ample, intense with a long lasting taste. Good body, wild and strong-scented aromas with a long finish. Harmonious blend of exceptionals Arabicas. Smooth and fruity. Traditional roasting. No cafeine and solvent. Chemical free. Chocolate, Mango, Coconut, Vanilla, Coffee. Schweppes Tonic, Seven Up, Red Bull. Improve skin texture and moisture. Rich in vitamin C, E, Iron. Rich in vitamin with nutricious. Gin, Crème de cacao, Cream. Vodka, Gin, Rum, Cointreau, Lime, Coca Cola.